It has been a year since our last real estate outlook, and an eventful year it was. As we expected, moderate economic growth and limited construction pipelines led to occupancy improvements and positive rent growth in most regions and property types. Also as expected, the market experienced some volatility. While drawn-out congressional debates over fiscal deficits and the debt ceiling shaved about 25-50 bp off of fourth quarter economic growth, they fortunately had minimal long-term impact on capital markets, with stocks ending the year up by nearly 30%. 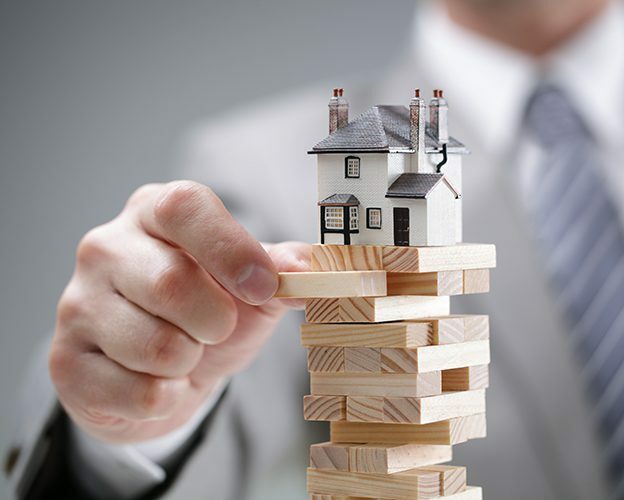 Volatility hit the market in June, however, as uncertainty about U.S. monetary policy caused a quick 100 bp rise in long-term Treasury rates, dragging mortgage rates along with them and creating a short-term disequilibrium in the lending market. 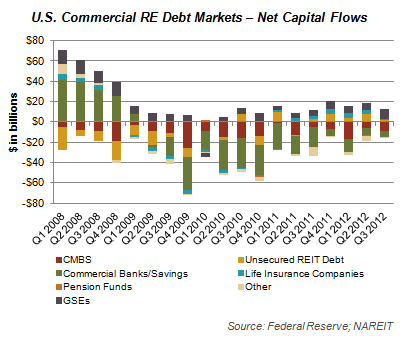 Private real estate markets continued to post double-digit returns throughout the year, although the public markets sent out a warning signal, with negative equity REIT returns posted in the last three quarters of the year. As we look forward to 2014, we maintain an optimistic view of the real estate market. Yields are attractive, particularly as compared with other asset classes, and leverage spreads are generally positive. Most property types remain in the recovery phase of the real estate cycle and are expected to experience positive occupancy and rental growth in the year ahead. However, pickings are much slimmer than last year, as commercial real estate prices are up by 12% from a year ago and construction pipelines are quickly swelling. We advise investors to be more selective in their investment options this year and to have clear exit strategies in mind as they consider new investments. Buy real estate with expectations of rising occupancy rates. 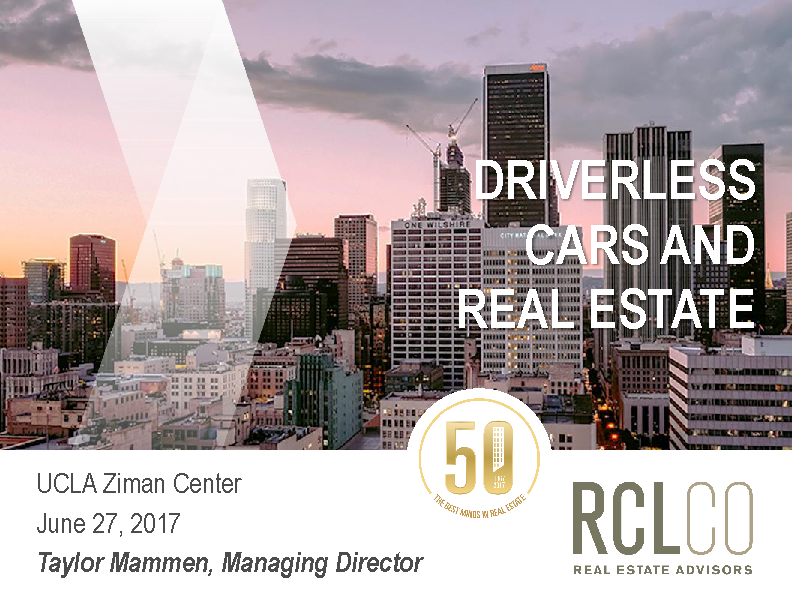 Most U.S. property types remain in the recovery stage of the real estate cycle, characterized by rising occupancy and rental rates. We expect real estate demand to continue to improve at a moderate pace as near-term U.S. economic prospects are positive, with GDP growth forecast in the 2.5%-3.5% range in 2014 and 2015. U.S. government fiscal consolidation, which is estimated to have shaved somewhere around 2% off of 2013 U.S. GDP growth, is expected to slow to about a 0.5% drag in 2014 to 2015, before returning to a positive balance. Household wealth is up due to improvements in jobs and investments. Along with accommodative monetary policy, this is driving improvements in the housing, retail, and banking sectors. While new completions (except in rental apartments) have been minimal in most markets, rents have risen to levels that are high enough to justify new construction in many markets, and construction pipelines are quickly increasing. Overall, we expect demand to outpace new construction in the upcoming year for most markets, but watch our quarterly U.S. Chartbook publication due out in February for a more in-depth analysis of trends by metro area, which vary widely. Watch for new development and redevelopment opportunities. In many markets rents are just beginning to reach levels that are high enough to justify new construction. 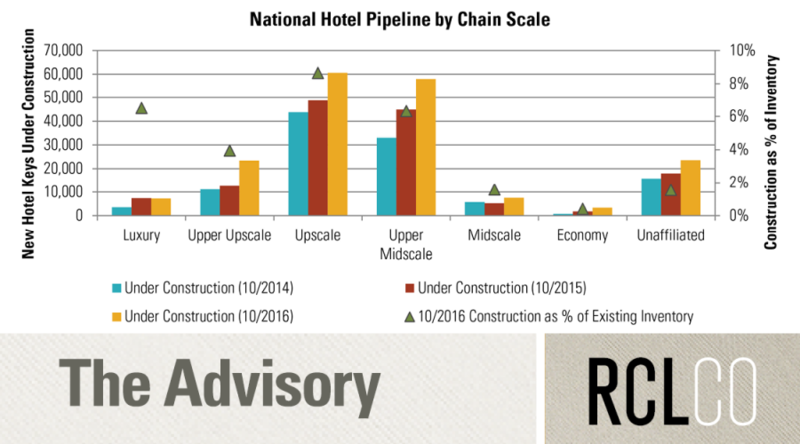 While construction pipelines are growing, they are generally still well below historical levels. We are seeing a number of attractive development and redevelopment opportunities in several property types, though trends vary by market and property type. A notable exception is the apartment sector, which is already well into the next construction cycle. Be selective in markets such as rental apartments and prime CBD office, where pricing is aggressive and construction pipelines are significant. 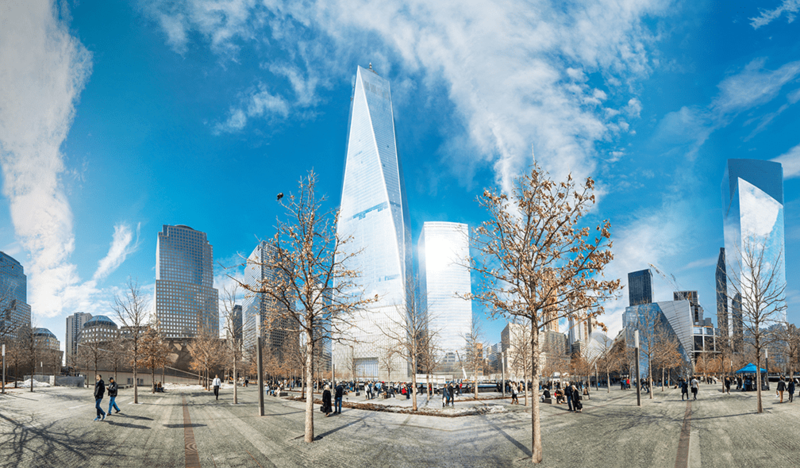 Two sectors have been leading the market in terms of both high occupancy rates and investor demand—apartments and prime CBD office markets such as New York, Washington, D.C., and San Francisco. Pricing has returned to near-peak levels in these markets, and we are now seeing large construction pipelines in these areas. Occupancy rates have already leveled in several apartment markets, as well as office markets such as Washington, D.C. Investors should be cautious about purchases in these markets as income growth going forward may not be high enough to offset low yields, which could result in lower returns. 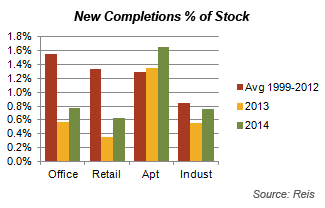 Also watch for obsolescence issues as new buildings increase the quantity of high-quality stock. We expect to see selective opportunities in these markets that are most likely to be development or redevelopment oriented, although trends vary by metro area. Single-family housing still has some upside. Despite higher interest rates in the second half of the year, the for-sale housing market remains strong as job growth continues to help consumers repair credit and drive new household formations. Single-family housing starts were up by more than 26% year-over-year in November, but are still running well below household formations. And while new home sales were up by more than 16% yoy, the months of supply of housing remained balanced at less than five months. Our expectations are that single-family housing starts will continue to rise at a double-digit pace in 2014, although home price increases are expected to slow from the double-digit pace of the past year. 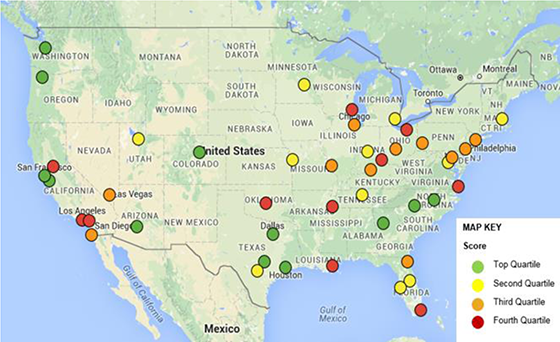 As on the commercial side of the market, single-family market performance varies by region. New starts are expected to be highest in the traditional high-growth Sunbelt markets, including some of the hard-hit markets such as Phoenix, Las Vegas, and Florida, but also including some coastal and inland markets. The U.S. continues to be attractive as compared with other countries. Yields in the U.S. continue to be attractive as compared with other countries, and solid economic growth combined with limited construction makes real estate in the U.S. relatively desirable. After a period of caution and defensive monetary moves in 2008 to 2011 that benefited higher-yielding and commodity-driven emerging markets, the markets moved into a more risk-tolerant mode in 2012 and early 2013. The markets recently recognized improving growth, particularly benefiting developed countries and equity markets. The global markets are now moving into a third stage of recovery that is a bit more cautious, as investors prepare for inevitable quantitative tightening, particularly in the U.S. as it moves back to more stabilized monetary conditions. While this is a good sign and an indication that global conditions and job markets are stabilizing enough to remove government stimulus, uncertainty in U.S. monetary policy could create volatility in the upcoming year that can sometimes have exaggerated impacts in emerging markets. International investors should stay abreast of currency impacts that can sometimes be just as powerful as local investment returns. However, currency risk can be managed both at the property (e.g., U.S. dollar leases in some countries) and portfolio levels, and some international investing can make sense, as growth in the emerging countries, while slowing, still accounts for a large portion of global economic growth. In Europe, the core economies are recovering, although southern and peripheral European economies are still struggling with depressed domestic demand. Furthermore, in contrast to the U.S., euro-area lending continues to contract, especially in secondary markets. As for the BRICs, economic growth rates are slowing (but remain above the pace of developed markets) as policies reverse from expansionary goals; structural impairments in labor, energy, and financial markets slow progress; and interest rates have risen since the summer gain in U.S. long-term bond yields. 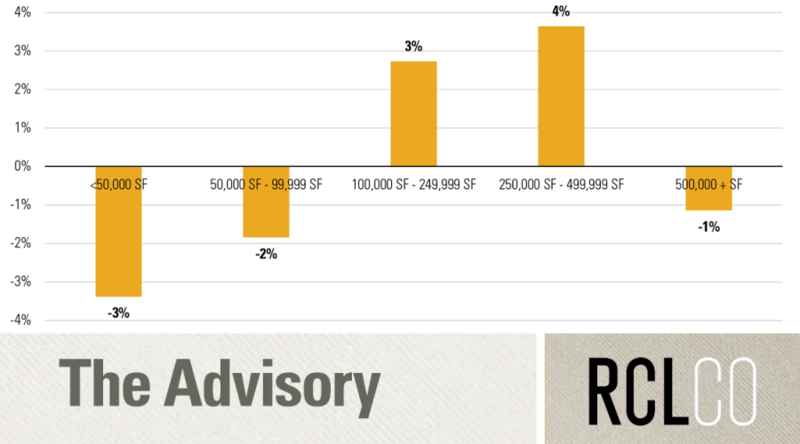 Watch for secular trends that will affect performance by location and building type. A number of significant secular changes are changing how properties are used. For example, in the retail sector, despite robust consumer expenditures, demand for new retail space continues to lag other property types as e-commerce proves to be a more efficient distribution mode for retailers. We are particularly concerned about the apparel sector that is highly concentrated in malls and is approaching e-commerce sales levels that are high enough to start reducing demand for real estate (as has already happened in categories such as toys, books, and electronics). 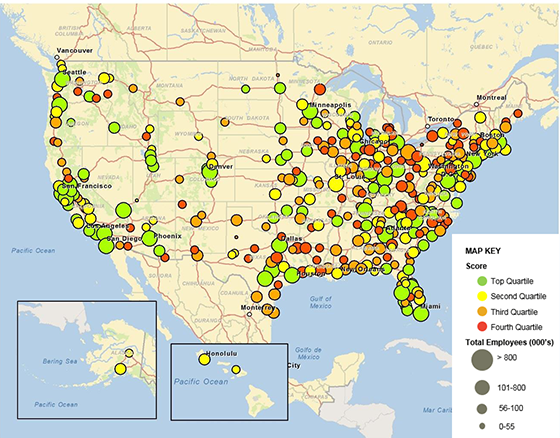 Malls with dominant market conditions should continue to perform well, while risk rises for lower-quality malls. Even the once-considered-safe grocery segment has been impacted as wholesalers, discount retailers, home delivery, and even drug stores move into the grocery space. Case in point—the announced closure of 72 Dominick’s stores in the Chicago area this year. Watch for retail spaces that have dominant market positions, good demographics, and limited room for new competition (and be prepared to pay a premium for these properties). In contrast, in the industrial sector we are seeing a number of million square-feet plus sized warehouses being built by e-commerce firms that are racing to get goods near large population bases to minimize delivery times. Industrial demand recovered quickly from the recession as compared with a sluggish recovery in the retail sector (see chart below). East coast markets are also racing to dredge ports in anticipation of the upcoming opening of the widened Panama Canal, although industrial demand may pass over some less populated areas to markets that have larger distribution markets. In the office sector, users continue to try to maximize space usage. New office space demand is lagging office employment growth as space per worker is declining and is forecast to drop by another 14% from 2012 to 2017. With users favoring higher-density space usage, open and flexible floor plates are becoming more important, as are worker-friendly environments that offer natural lighting and meeting areas. Interestingly, newer buildings are larger energy users, as they can accommodate more workers and the glass structures embraced by tenants are often less energy efficient than older brick and block buildings. 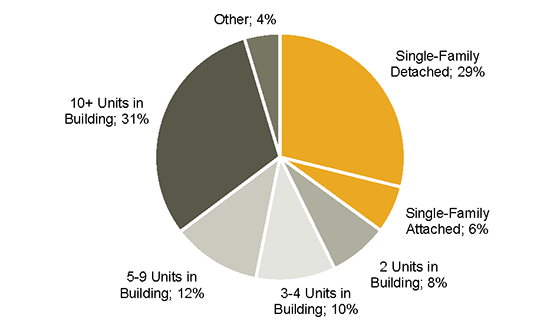 Location is also important as tenants favor locations with multiple transportation modes and nearby amenities. Concentrate long-term holds in regions that have strong growth potential. Within the U.S., growth varies significantly by geography. Metro areas with educated labor bases, business-friendly policies, and large working populations are aggregating jobs and already supporting significant job growth. Low-cost southern economies in Texas and Florida, and technology- and energy-based markets on the coasts and the central U.S., are doing well. Parts of the Midwest are lagging, with goods-producing economies struggling as the economy continues to shift towards service-providing jobs. Minneapolis and Indianapolis are notable exceptions to this trend. 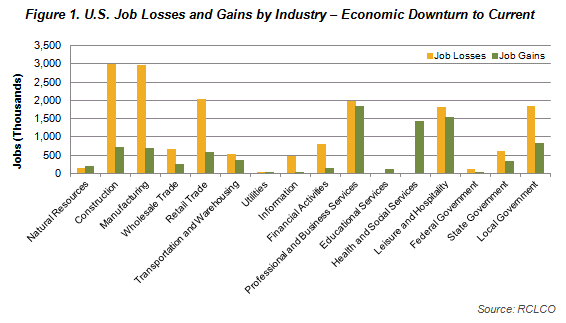 While growth in specific industries may be volatile, we watch for diverse service-based economies with large, educated working populations in areas that can support new business growth. See our December “Top 10 Megapolitan Regions” Advisory article for further information and coverage of up-and-coming regions such as the Wasatch Range and Front Range (the Colorado, Idaho, and Utah areas). 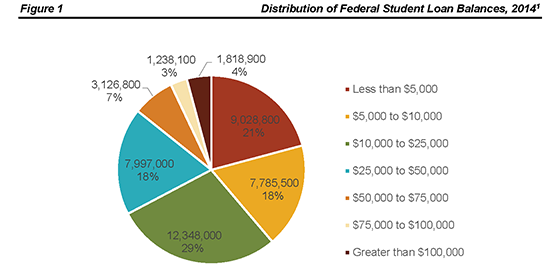 Evaluate financing options in expectation of higher rates, although significant rate increases may not occur until late 2014 to early 2015. Quantitative easing by the Federal Reserve as a result of the 2008 downturn resulted in negative real long-term Treasury rates, which are unsustainable in the long term. An abrupt 100 bp increase in ten-year Treasury yields during the summer brought bond pricing closer to typical real bond rate spreads. We expect yields to rise at least another 50+ bp to the 3.5% to 4.5% range within the next couple of years, which is a more normalized spread to expected 2% inflation rates. The big questions remain when and how quickly will interest rates rise and what the impact will be on property markets. While jobs, inflation, and the for-sale housing market are not showing enough strength yet to lead to Fed tightening, volatility similar to the 100 bp rise in Treasury yields during the summer of 2013 could occur again as the market continues to stabilize to more sustainable long-term monetary conditions. As in the past summer, our expectation is that both residential and commercial mortgage rates will follow suit and rise in step with Treasury rates, just as they did in the past year when mortgage rates rose by close to 100 bp. The good news is that housing remains highly affordable and commercial mortgage rates remain at positive spreads to equity pricing. Going forward, investors should evaluate financing options in terms of fixed vs. variable rates, costs of interest rate swaps, and refinancing options in relation to expected hold periods as mortgage rates are expected to rise further. Assume higher exit cap rates and have a realistic exit strategy. In contrast to the mortgage market, private commercial property markets have already built in some expectation of rising interest rates as spreads between interest rates and commercial property yields remain at abnormally high levels. Thus, combined with positive expectations for income growth, our expectation is that most sectors of the real estate market will continue to produce positive returns, albeit lower than the double-digit pace of the past few years which benefited from distressed pricing following the 2008 economic downturn. However, long-term Treasury yields higher than 3.5% could trigger upward cap rate movements in some property types. While investors typically build in at least a 50 bp increase in exit cap rates as compared with stabilized going-in cap rates, this may not be a large enough spread going forward. 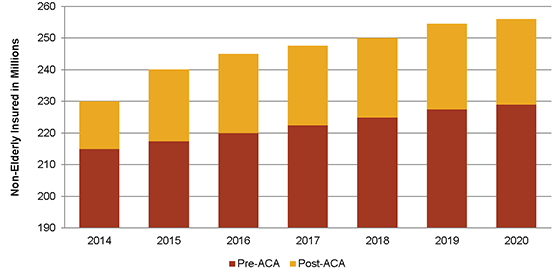 A heated debate arose in the past year as to whether prime assets in prime locations could also be subject to higher cap rates going forward. On the one hand, the already relatively high pricing in these markets has resulted in low cap rates and low spreads to mortgage rates. 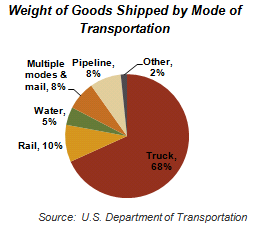 In addition, large construction pipelines in prime markets are likely to keep rents from spiking much beyond the next year when new deliveries are scheduled to start competing with existing space. Thus, these markets are already operating at low spreads to interest rates with limited potential income growth, which puts them at risk of higher cap rates if interest rates increase. On the other hand, an unexpectedly fast rise in interest rates could make markets risk adverse and drive investors to these “safe” havens for liquidity, thus keeping cap rates low. In contrast, high-yielding investments typically indicate liquidity risk, which means that exit cap rates in these markets, while at an attractive spread now, could spike even higher if the market becomes more risk-adverse. On the other hand, the still relatively large spread between cap rates in high-yield markets and mortgage rates gives them some buffer if interest rates rise at a moderate pace. Thus, while it is difficult to forecast cap rates, the uncertainty in the interest rate environment and expected rise (at some point) in mortgage rates merits extra analysis of investment sensitivity to exit cap rates and a somewhat higher buffer than usual from going-in cap rates to exit cap rates. 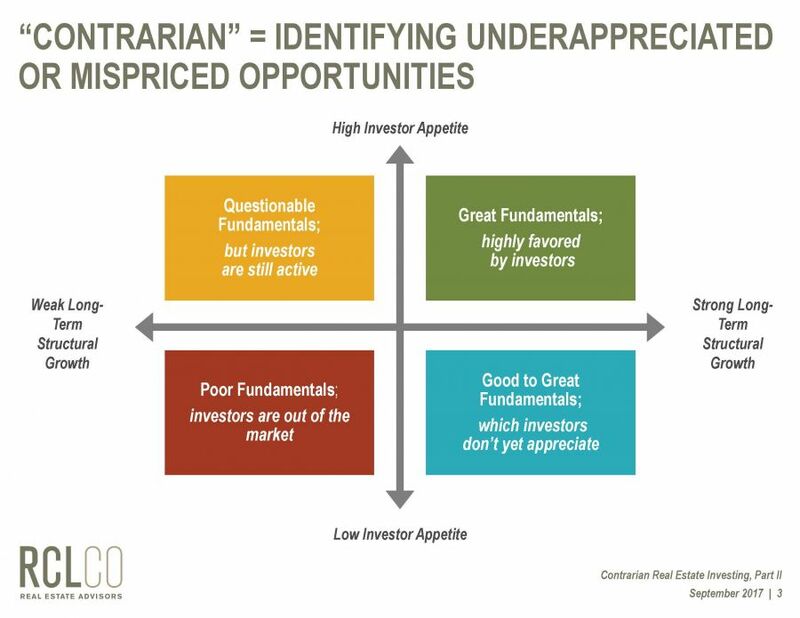 Investors should also have a clear and realistic exit strategy in mind when purchasing assets. Volatility could create buy opportunities, particularly in the public markets. For investors who have clear forward-looking strategies, market volatility can present some attractive buying options, particularly in the more liquid public markets. 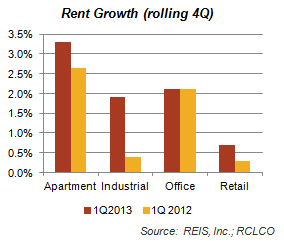 For example, prices of some high-quality REITs are up by 4% to over 8% since the low in 3Q 2013. Watch for volatility to create opportunities to purchase high-quality liquid assets at short-term discounted prices in the upcoming year. In Conclusion—prepare and continually update a cycle strategy for your firm. Generally, it is safe to say that we are in the recovery stage of the cycle. The next stage is mature, after which the cycle will peak and a downturn will inevitably follow. The smart money is working now on strategies to anticipate, prepare for, and take advantage of the opportunities that the next downturn will create. While we remain generally optimistic, risks still exist to the forecast. The U.S. debt ceiling debate has not been resolved and will continue to create fiscal uncertainty. Markets will also be watching Fed policy for signs of monetary tightening. Thus, expect further capital market volatility in the year ahead. For the long run, it is not too soon to start thinking about how to position your real estate company not just to survive, but to thrive in all phases of the cycle. And there is no better time to act than when things are going well. Truly strategic real estate companies have both processes to monitor their markets, and a set of actions (or “cycle strategies”) to navigate changing market conditions. Identify a series of indicators that are specific to your business, your real estate sector(s), and your market(s)—some may be quantitative, while others may be purely qualitative but just as valuable. Review the capacity of the firm to track and evaluate internal company data, which can be a valuable addition to, and sometimes more timely than external data sources. And convene a “cycle strategy committee” to review, discuss, and debate the various factors that feed into your firm’s market review model, and prepare a strategy for operating successfully in all stages of the cycle. Article and Research prepared by Gadi Kaufmann, CEO, and Paige Mueller, Managing Director. RCLCO’s advisory groups provide market-driven, analytically based, and financially sound solutions. 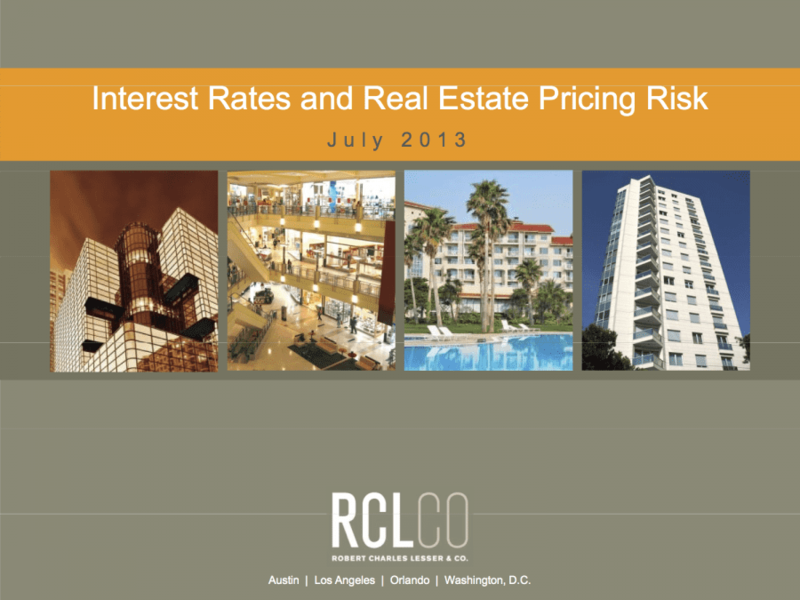 RCLCO’s Institutional Advisory Group produced this newsletter. Interested in learning more about RCLCO’s Institutional? Please visit us at www.rclco.com/institutional.